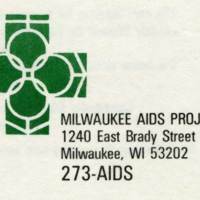 This exhibit views the history of HIV-AIDS in Wisconsin through the lens of the Aids Resource Center of Wisconsin and allied groups. Since 1985, the AIDS Resource Center of Wisconsin has led the fight against AIDS, providing critical prevention, healthcare, and social services for people living with HIV. It has grown from a small, social services agency to Wisconsin’s largest HIV healthcare provider and the most comprehensive AIDS service organization in the United States. This exhibit was initially created for the 30th anniversary of the ARCW. The digital exhibit expands and provides greater access to the materials from the original exhibit.